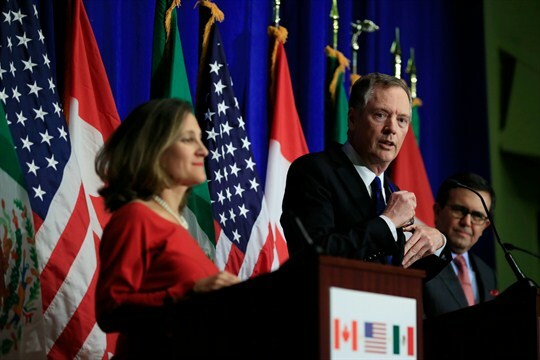 U.S. Trade Representative Robert Lighthizer with Canadian Foreign Minister Chrystia Freeland and Mexican Economy Secretary Ildefonso Guajardo Villarrea, during NAFTA renegotiation talks, Washington, Oct. 17, 2017 (AP photo by Manuel Balce Ceneta). In making trade policy, process is as important as substance. If the process is perceived as fair, the participants, both citizens and policymakers, will likely view the outcomes as fair. The Trump administration has never understood that. It demands “fairness” from its trade partners but doesn’t always treat them fairly.